I write 3-4 books per year. Other writers ask me how I’m so productive. What works for me might not work for you, but here’s my secret. I always have projects on every “burner.” On my front burners are items that have the most urgent deadlines, or have the most prep already done. This one can cook! But on the back burners, I have other projects in various stages of completion. I’m aware they are there, but they don’t get my front burner attention. Every time I get a brainstorm or run across something that will work with a back-burner project, I add it to the pot (actually, a computer file). When it’s finally time to bring the project to the front burner, it’s ready to cook. There’s nothing worse than staring at a blank screen. That’s how writer’s block happens. But I never have a blank screen since I’ve been compiling the ingredients already on the back burner. Keep in mind the Law of Inertia. An object at rest stays at rest. An object in motion stays in motion. A locomotive that stopped for a break takes more energy to get going again that the train that’s chugging along. So keep at it, don’t be waylaid by social networking, website tweaking or some other shiny thing that distracts your attention. Notice I said distracts rather than attracts. Perhaps it could be said the difference between writers and authors is that writers explore the process of writing so much that they get trapped in perfection and procrastination. An author pursues making progress, productivity and creating the end product. Sometimes, exploring different ways of writing your material is simply another way of procrastinating clicking send. 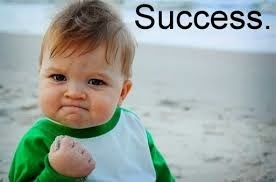 Declaring a project complete is so liberating! And if you insist on toying with your wording longer, you might find yourself trapped in the vortex of writing for a while. Develop a sense of urgency, even if you have to insist on a self-enforced deadline. To start or kick start a project, the end goal has to mean more than the snoozing lull of procrastination. Then you’ll be able to move forward and not feel stuck. · Process. Explore various styles and voices in writing. · Progress. See measurable advancement toward completion. · Perfection. Process of delaying progress in pursuit of the perfect paragraph. · Product. Pursuit of the end goal more than the process. · Procrastination. The art of delay due to fear of failure. You say you’re enjoying the process of writing. But really, you are struggling with hitting send because it’s not perfect enough. · Purpose. Stay true to your voice, your brand, your audience, and your goals. · Proofreading. 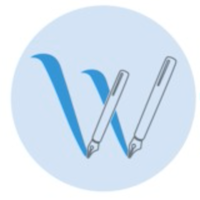 The ability to self-edit your work or accept the changes of an outside editor, knowing the work will be enhanced by the corrections or suggestions. Once you mind your P’s, you will enjoy seeing your work published. How convenient—another P! So, I became good at character-study-- it was my favorite pastime. I was a reader, too, and learned adventuring through imagination. It saved my life, really, or I'd have died of boredom. Then I began rewriting stories that had bad endings. Later, it was plots, and after that, I wrote books on my own. I actually wanted to be the youngest published author, back when the record was still thirteen. I didn't make that goal. I also couldn't talk my parents into paying for a writing course that cost several hundred dollars. Which led to a short detour in career goals when I learned Universal Studios was putting out a cast call for dead people. For a battle scene in some movie called Sparticus. It was for one day only (we lived just north of Hollywood, where Westerns were made), and would include a free lunch. Hundreds of people were needed. I thought I would be brilliant at this because I was half-dead, already. Might even make a career of it, since dead people were in movies all the time. By high school, I was worried my parents might never let me do anything. Ever. Which could have led to rebelliousness, or an early demise, if God, Himself, hadn't intervened. 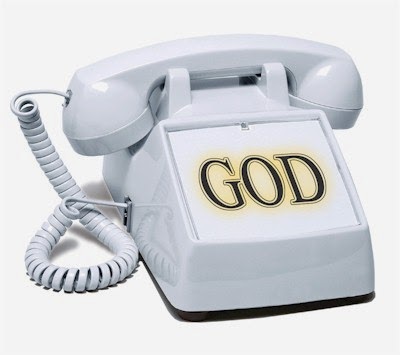 It happened when someone wanted to know if there was anything I would ask if I had a personal “hotline” to God. Like the kind presidents have for national emergencies. Well—boy howdy-- there was. Why was I stuck with weak lungs when all I wanted was a life of adventure? Imagine my surprise when He answered. Not in an actual voice. But my next breath was the first clear—deep--breath I ever took in my life. It was amazing! Would it last? I began trying things like running, and real outside activities. Still amazing! My parents were harder to convince, though, and kept the old restrictions in place. Like bedtime by nine, unless it was Christmas. Which drove me back to the God phone, again. How could I escape this prison when my loved ones thought they were doing me a favor keeping me in it? God is so amazing! Less than two weeks later, I met my “Prince Charming,” and three weeks after that, I was married (at eighteen, parents can't say, no). He was was a true-life adventurer, who also had God's phone number. So, we embarked on a lifestyle of adventure, and I continued to pursue my writing career. How to create characters takes a personal journey of discovery that turns into a writer's unique “voice.” And each voice is different! But I'll tell you a secret. To create great characters, you have to do more than observe people. You have to become something of a character, yourself. Or, at least, know who to ask about it. Trimalchio of West Egg was one author’s great disappointments. After one year and fourteen thousand pages of the written word he was told his story was too vague. He had to start over. Certainly a disappointment but the author was not discouraged. His story was to be written, but it would be another year. One of the disappointing changes would be the title. Trimalchio was a first century AD Roman character who found and lost fortunes again and again, thus the name meaning “thrice king”. The pattern from humble beginnings to extravagant wealth and excess was repeated as well in this new novel thus the name of the book. The title itself seemed to be as out of place and as distant the first draft. 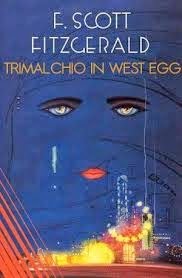 The reference of Trimalchio and the fictitious town of West Egg was to remain in the novel but not the title. The title would reflect the main character. Once completed, we had that great American novel The Great Gatsby by F. Scott Fitzgerald. Fitzgerald was disappointed but not discouraged. His book was completed and published but it received mixed reviews and that first year only sold 20,000 copies. 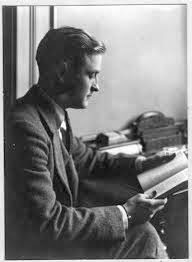 That was another great disappointment for Fitzgerald and when he died some fifteen years later he did so thinking himself a failure. Our disappointments will come. As Charles Stanley said, “disappointments are inevitable”. We must not be surprised or overwhelmed but must decide what is next and move forward. We must make a choice and one of the first choices to make at that time is to not be discouraged. If discouragement had prevailed with Fitzgerald we would not have his great work to enjoy. 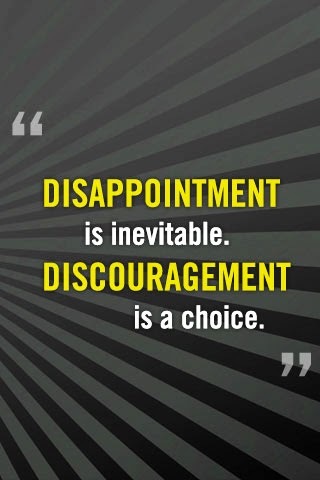 Discouragement is a choice. Don’t make it yours. 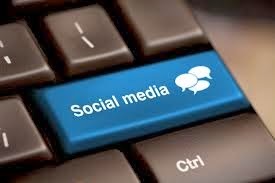 Becoming active on social media websites such as Facebook, Twitter, and LinkedIn can quickly render an author feeling overwhelmed, defeated, and somewhat hopeless. Why is this? Simply, it's the age-old trap of making comparisons. One author's speaking/writing/publishing platform compared to the next; one author's sales numbers compared to the next, or one author's three signed book contracts compared to the next (or more specifically, to yours). As soon as any of us begins to make comparisons, we've made the biggest mistake ever. Our job, our personal mission, is to write and work and market according to our best ability. Easier said than done, I know. After a brief period of lamenting all that I couldn't do (or didn't have the resources to utilize), I started looking at FaceBook/blogging/enewsletters/websites from a different angle. Once I did, it changed everything. Instead of focusing on what I lacked in comparison to bigger name authors, I decided to watch and learn. * Facebook -- First, I set up my Facebook account for sharing and updating primarily work related information with family/friends/colleagues/readers and anyone interested in my writing/reviewing/books. Second, I added a "fan page" for my new book project; Burdens Do a Body Good. Here, I posted all current book information/media exposure/quotes from the book/quotes from the book's endorsers/reviews and anything remotely related to this specific project. * Twitter - This is a simple device to open and use. 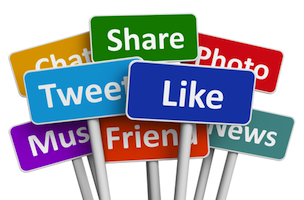 It's important to link this marketing tool with others such as Facebook. 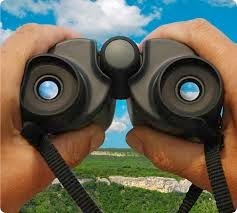 Your "tweets" are very short, pithy updates that alert your followers of what you're up to at the moment. * Linked In - A good place for your business profile and to continue building and connecting with others in your field. * Blog - I use WordPress.com, it's free, it's straightforward to get started, and they have excellent customer care when you're setting up a blog for the first time. This is also your "home base" to situate any/all your work related information. * Check your sites - Every morning, I do a brief check on my main sites (FB, Linked In, blog, journalist enews requests, and two email accounts). I quickly answer emails/requests/queries, and then move on. * Promote all current work regularly - I keep that ongoing (and always changing) marketing list next to my computer and give it a brief read every day to make sure I'm on time/on target with any upcoming book deadlines. 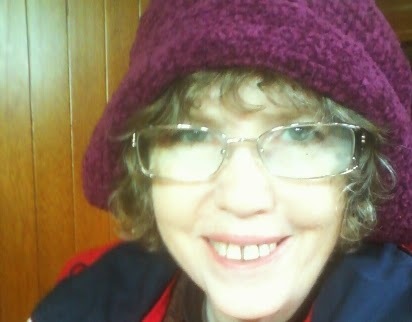 * Help someone out - Almost everyday on FB, some other writer will ask for help and I offer that help when I can. Often when perusing the journalists callouts for information, I'll frequently see something another writer can speak to better than I can and I pass that request on to them immediately. * Be willing to try new things - Refuse to say no to a new opportunity without giving it ample thought and consideration. Don't see the obstacles, see the possibilities. * Look ahead - Just when I think I've exhausted all I can do to market my work, I think some more. Here are some specific angles that get me jumpstarted when I'm fresh out of ideas. Think local. Think state. Think national. Think online. Think in print. Think in person. 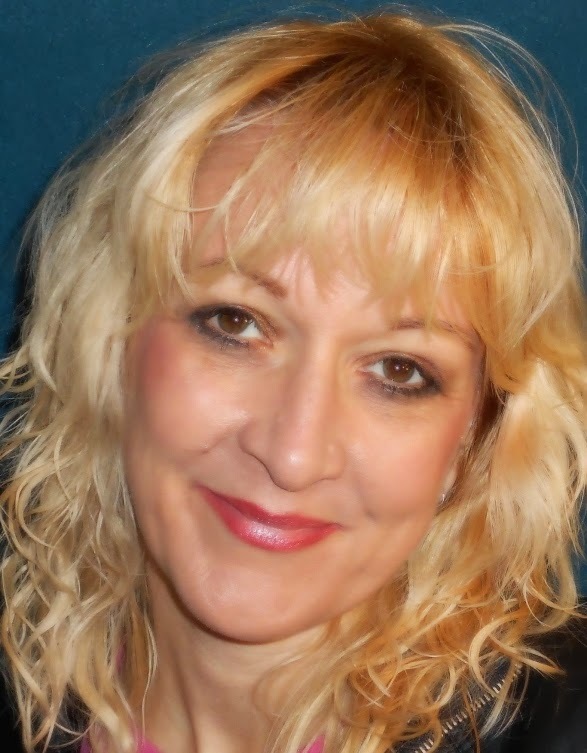 Michele Howe is the author of fourteen books for women and has published over 2000 articles, reviews, and curriculum to more than 100 different publications. 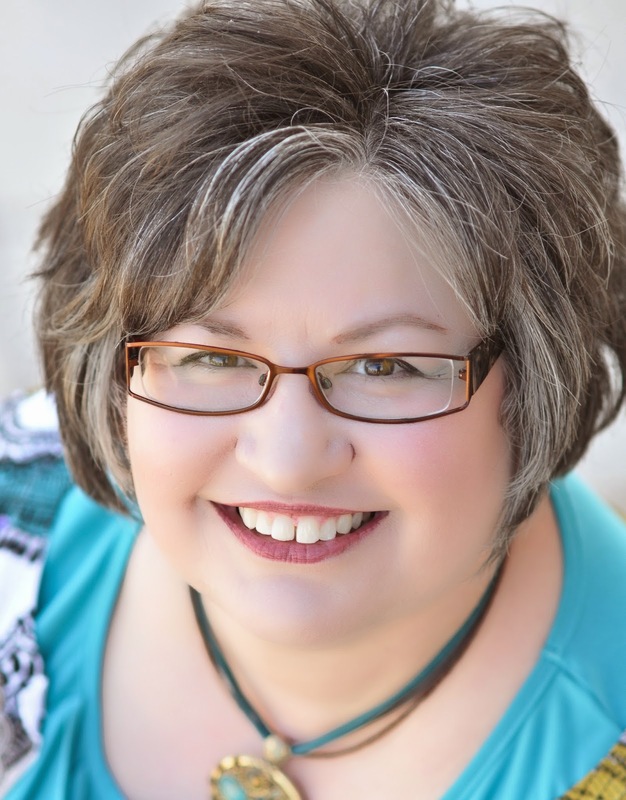 Her articles and reviews have been published in Good Housekeeping, First for Women, Single Parent Family, Christian Single, and many other publications. Michele’s single parenting titles include, Going It Alone and Still Going It Alone. After having undergone six shoulder surgeries, Michele saw the need for a women’s inspirational health-related book co-authored with her orthopedic surgeon titled, Burdens Do a Body Good: Meeting Life’s Challenges with Strength (and Soul), released in 2010 and from which Prescription for Life, their health, medical and surgical informational book is based. One Size Fits All: Making Healthy Choices, Stepping Into a Meaningful Life, a women's health/inspirational devotional by Lighthouse of the Carolinas was released late 2012 and Faith, Friends, and Other Floatation Devices will be published in 2013 by ACTA Publications. Michele's newest release is Burden Lifters: Every Woman's Daily Guide to a Healthy Happy Life published by Bondfire Books. Read more of Michele's work at http://michelehowe.wordpress.com/ and contact Michele at: jhowe@toast.net. From time to time here on the blog we talk about pet words that we tend to overuse. The subject comes up in conversation regularly as well, especially during editing time when certain words may appear repeatedly. In the March issue of Southern Writers, Dr Richard Mabry even elaborates on the subject with some lucid and useful advice in his article "What's Your Favorite?" I can't tell you how many debates I've been party to in which Susan Reichert has decried the use of "that" when it's out of place or unnecessary, as in "I think that she's right." I do think she's right about that. 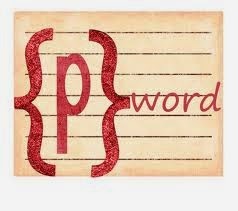 One illuminating side of this coin of commonly coined words involves the intrinsic value of the pet word itself. I'll never forget a story I once read about John Lennon when he was writing the lyrics to a particular song. He was trying to come up with a line to rhyme with "go", "low" or some such "oh" verse. His wife Cynthia suggested, "How about 'I just don't know'?" Her offering was promptly shot down by Lennon, who criticized the word "just" as being a pointless word having no meaning. Of course, in the right context, "just" has purpose, like when establishing the timing of something. "I just got back from the store" is more descriptive than "I got back from the store." But John had a point in that "I just don't know" is virtually the same as "I don't know." Ironically, some years later, he would write the line "...I just don't know how to feel" ("How", 1971). 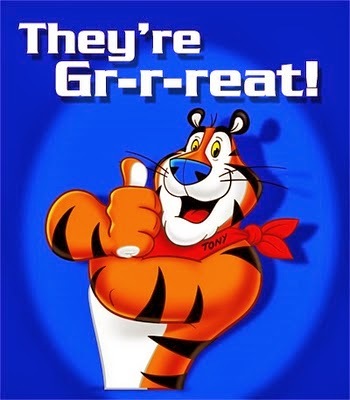 I myself will admit to a certain affinity for the word "great", which I'm trying to stop using. Not because it lacks meaning, but because it's not specific. If someone tells you your book is "great", what information does that really give you? Yes, they liked it, and that's about it. However, if they say your book is "thought-provoking", "inspired" or "worthy of Twain", you have more than just generic feedback to take to the bank. Let's look at the words we tend to overuse in this light of their actual value. Eliminate unnecessary words but also replace general ones with something specific. If we can do that, that would be just great. Recently, I’ve heard a common complaint from full-time novelists. 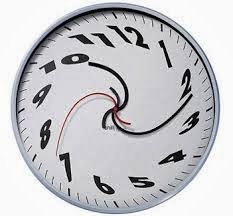 Demands on our time—manuscript submission deadlines, marketing, blogging, book tours, social media—all contribute to our social lives suffering. Isolation seems to be a universal malady we all fight. Isolation leads to cramped creativity. A vicious cycle. There is a remedy to these obstacles: a writing partner! About three years ago, I connected with a gifted writer named Lynne Gentry. Every weekday morning, between six and six-thirty, we talk on the phone. We discuss plot issues, character development, marketing ideas, industry news—anything that is on our minds regarding our writing careers and the stories we write. This tiny investment of time has produced huge benefits. After leaving a full-time legal career to write novels, my time with Lynne fills the need I have to collaborate. Iron sharpens iron, and we propel each other to excellence. Our brainstorming reduces the risk of rewrites. We motivate each other. We are that one safe and confidential place to share whatever we struggle with, or the place we can shout out our successes with another writer who truly understands. 1. Evaluate the kind of writer you are. Are you a person who carefully plots or are you a person who writes by the seat of your pants? Writing partners do not need to match in this area, but it’s helpful to know each other’s writing style. 2. Evaluate what kind of person you would most like to work with. Your writing partner doesn’t necessarily have to be just like you, in fact, while Lynne and I have a lot in common, we find our very different styles complimentary. 3. Make a list of potential candidates. I recommend both being experienced fiction writers. Someone you can trust to remain confidential. Sources can be writing groups, authors you admire, critique groups, etc. 4. Narrow the list to three, and prioritize. Contact them with your idea and then agree to a ninety-day trial run. Evaluate at the end and only continue if BOTH of you feel the time has been a benefit. If you find your match, agree to move forward on a more permanent basis with the understanding either party can bale for any reason. No hard feelings. 5. Define your primary needs. However, you will likely find the conversations tend to morph into what’s important to both of you. I know some writing partners who read everything the other writes and does a line-by-line critique. Lynne and I don’t. We ask for what we need that morning. I need help with this plot or that character, or I need a way to get from here to there in the story. Sometimes, we want to read a few paragraphs of our brilliant work, just to show it off. We love applauding each other. 6. Be honest – yet sensitive. Lynne knows I have a background as a legal investigator—that my style often incorporates a lot of information processing and analysis. I write women’s fiction that focuses on relationship tensions. She writes adventures with strong women characters who love justice. We take our differences into account as we seek to guide and provide feedback. 7. Keep the sharing balanced—no one person hogs the effort. Be sensitive to writing deadlines and family commitments. 8. Absolute confidentiality is essential. NOTHING gets shared without permission. 9. Don’t do the work for the other person. I suggest solutions, evaluate Lynne’s story development. I do not write for her. Neither do I get offended if she doesn’t follow my advice. Our stories are our own, and we have entire freedom to write the stories as we see fit. 10. Thank God often for your writing partner. A good fit is a huge blessing. And, pray for one another. I hope this list is helpful. My writing partner relationship has blessed me beyond expectation. If you establish a new writing partner relationship, write and tell me about it. I’d love to hear. 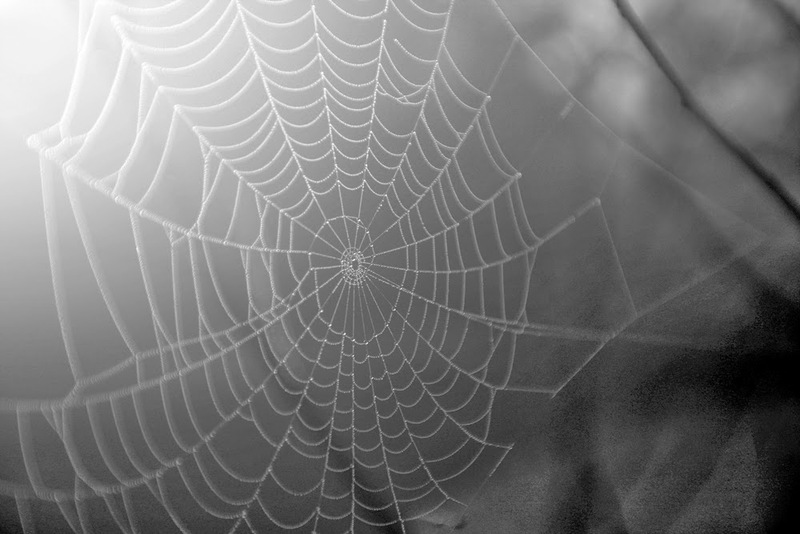 It’s an ugly web with thick threads. The threads don’t form overnight, but take weeks, sometimes even months. The spider who spins them is no stranger to you for upon careful observation, he holds a resemblance to you. However, how you got involved in this lackluster scenario might be cause for uncertainty. Confused? I’m talking about being complacent, no longer eager to rush to your keyboard or notepad. In a word, you’re stuck. You’re feeling as bland as bran flakes. Perhaps you know how those threads of this web spin on. It’s easy to blame everyone under the sun from the burnt toast to the demanding boss, but the truth is that when you feel complacent, you have to get out of it. Try these tools to access your current dull situation and come up with a plan to escape the confining web! Are you feeding yourself lies? Have you forgotten that you are valuable!? You matter! Your story and the way you can tell it is unique and only you can do it. Fill your mind with some affirming truths. If there are emotional, spiritual or financial needs that have not been met, take some time to see how they could be blocking your productivity. Are you jealous of other authors? How can you be a lover of words and stories if you can’t write anymore? You must not be a real writer then. You’re no good. Look at those other authors. They don’t have these problems. Sound familiar? Remember that you are only responsible for you. Jealousy steals. Stop looking over the fence at others and concentrate on your skills. Hone them. Have you forgotten where your passion is? Did you get off course? Are you trying to write an Amish novel because your best friend has? Is your strength really in non-fiction? 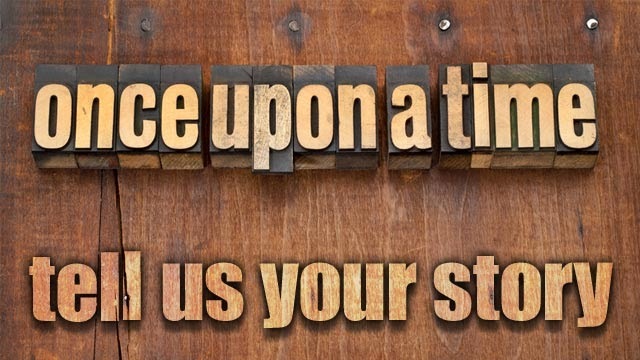 Recall the day you decided you wanted to write a particular story. Then take a walk or read a much-loved book or bake a favorite dessert. When you come back to your keyboard or pad of paper, embrace your reason for wanting to tell your story. Remember, only you can detangle yourself and get out of the dreary situation. Fight back by pursuing and offering your authentic voice! Other authors have struggled and pulled through and so can you. Alice J. Wisler is the author of five southern novels, Rain Song (Christy Finalist), How Sweet It Is (Christy Finalist), Hatteras Girl, A Wedding Invitation and Still Life in Shadows. 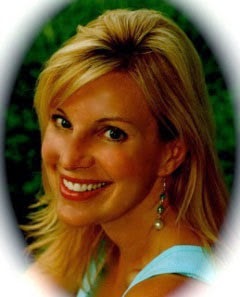 Since the death of her four-year-old son, Daniel, Alice has written for various bereavement magazines. 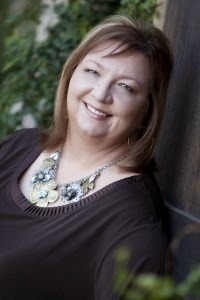 She also teaches grief and loss writing workshops across the country and online. Her most recent book (non-fiction) is Getting Out of Bed in the Morning, geared to offer comfort in heartache. Her website is: http://www.alicewisler.com Each novel has recipes in the back because Alice believes reading and eating go hand in hand. Check out her bread in a can (from Still Life in Shadows) photos at her blog. http://alicewisler.blogspot.com/2012/10/dont-send-fruitcake-send-bread-in-can.html Join me on Facebook and Twitter! As a Hitchcock fan, I'm not a stranger to the charm of travel from days past. Before airplanes were the preferred mode of travel, there was train travel. Hitchcock crafted, "Strangers On A Train," to set the mystery in motion by strangers connecting, while enjoying cocktails in the club car. A misunderstanding moves the story. In another Hitchcock movie, "Shadow of a Doubt," a wicked uncle arrives and then meets his demise on a train. In Hitchcock's "North By Northwest," much of the story occurs on a train. Hitchcock's, "The Lady Vanishes," takes place almost entirely on the train. Author, Scott Turow, while a practicing criminal defense at a large Chicago law firm, commuted to and from work on the train. He authored his first novel, Presumed Innocent, during his travel on the train. He hand wrote his first legal thriller into a spiral notebook surrounded by fellow commuters on a train. It was published in 1987 and was later made into the hit 1990 movie starring Harrison Ford. There is an opportunity for all writers who have dreams of writing on a train with constantly changing scenery and strangers. "AmtrakResidency was designed to allow creative professionals, who are passionate about train travel and writing, to work on their craft in an inspiring environment. Round-trip train travel will be provided on an Amtrak long-distance route. Each resident will be given a private sleeper car, equipped with a desk, a bed, and a window to watch the American countryside roll by for inspiration. Routes will be determined based on availability." "Applications will be accepted on a rolling basis and reviewed by a panel. Up to 24 writers will be selected for the program starting March 17, 2014 through March 31, 2015. A passion for writing and an aspiration to travel with Amtrak for inspiration are the sole criteria for selection. Both emerging and established writers will be considered." "Residencies will be anywhere from 2-5 days, with exceptions for special projects." "There is no cost to apply for the #AmtrakResidency program." While Southern Writers Magazine does not endorse any program, we do want to inform authors of unique writing opportunities. Alain de Botton, author of The Art of Travel, says, "At the end of hours of train-dreaming, we may feel we have been returned to ourselves -- that is, brought back into contact with emotions and ideas of importance to us. It is not necessarily at home that we best encounter our true selves. The furniture insists that we cannot change because it does not; the domestice setting keeps us tethered to the person we are in ordinary life, but who may not be who we essentially are." Are you willing to break out of your familiar surroundings and hop on the rails for the adventure of your writing career? Here's your chance. Young people who experience success don’t always finish well--think Lindsey Lohan, Miley Cyrus, and Demi Lovato. Early achievement can lead to inflated ideas about one’s abilities and stubbornness to listen to advice. I know this firsthand. I wasn’t exactly a Disney star, but as a teenager I became a local celebrity in Pennsylvania’s Lehigh Valley. I was 14 when a counselor suggested I consider a journalism career; a few weeks later I won a writing contest. During my freshman year, I wrote for the school paper (something no first year student had ever done), became a correspondent for a teen supplement, and interviewed celebrities, including mentalist Kreskin and the last astronaut on the moon. The following summer a wizened newspaper editor and an open-minded PR director allowed me to become the first female to cover the Philadelphia Phillies. For the rest of high school, I hung out with ballplayers like Mike Schmidt, Hank Aaron, Johnny Bench, and Pete Rose. Although his bluntness chafed, his was the best writing advice I ever had. I really didn’t know how to play with words, to use alliteration, metaphors, or similes. Instead, I employed just the facts, with an occasional regurgitation of clichés. I started reading The New Yorker, The Atlantic Monthly, The New York Times, and classic books, especially children’s books by authors like L. M. Montgomery, Mark Twain, Laura Ingalls Wilder, and the ultimate word meisters, Rudyard Kipling and Dr. Seuss. I took writing workshops and read books about effective techniques. The lesson I learned applies to all writers—never think you’ve arrived. 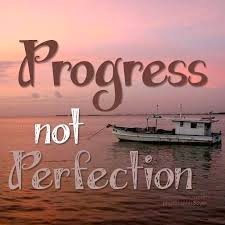 There’s always room for improvement. The best athletes, whether they play baseball, golf, football, or soccer—need coaches to sharpen their skills, and those who humble themselves enough to listen, will perform at the top of their games. Most of us have thrown a pebble in the water and watched as the ripples expanded across the water. We find examples of the ripple effect in the economy, societal, financial and even the computer world. 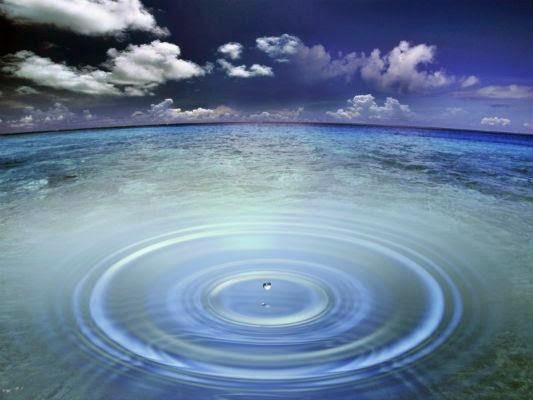 Is there a ripple effect with the books we write? Yes, two ways that come to mind are the ripple effect of the content of our writing and the marketing of our books. In writing, people read our words we’ve written and those words touch that person as they read. Our book will affect them. Will it affect them in a good way or bad one? Will it make them feel good or bad? Will they enjoy it? Will they quit before they are through the book? Will they say good things about the book, or bad things? Will they encourage others to read the book or discourage them? Either way this will cause a ripple effect. 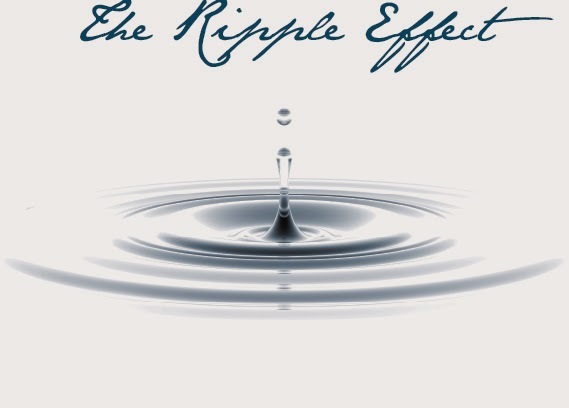 In marketing the book, the ripple effect applies. You tell one person, they tell another, and before long the ripples have extended farther than you can even see. Whether it takes a day, a month or a year, your book will be noticed if…people are told about the book. How is it done? By placing ads in radio, TV, newspapers and magazines. By word of mouth, asking your friends to read it and tell their friends about it. 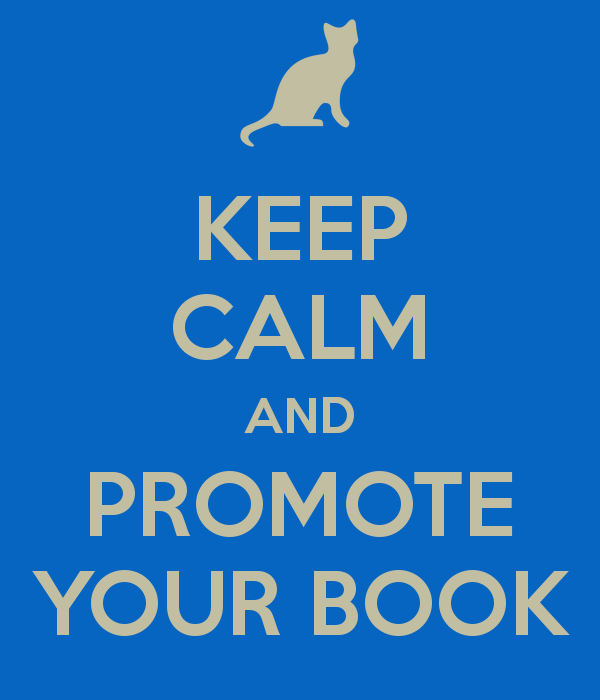 Using Social Media, contests, book signings. Promoting the book is necessary to get people to buy. You use everything at your disposal short of hiring sales-persons to go door to door. So eventually, you have the ripple effect. The bigger the ripple the more books you sell. The bigger the ripple the more people read your words. The Dog Ate My Book? Fiction – Real or Not?